The Water Resources Adaptation to Climate Change Workgroup (WRACCW) identifies research, data, and policy necessary for effective management and protection of water resources in the United States as the climate continues to change. The National Water Quality Monitoring Council (NWQMC) provides a national forum for coordination of consistent and scientifically defensible methods and strategies to improve water quality monitoring, assessment and reporting. The National Liaison Committee (NLC) for the National Water Quality Assessement Project (NAWQA) creates an ongoing national liaison process for external organizations to work interactively with the NAWQA Project in joint problem solving on water quality issues. 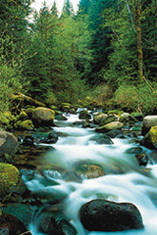 The goal of the Subcommittee on Ground Water is to develop and encourage implementation of a nationwide, long term ground-water quantity and quality monitoring framework that would provide information necessary for the planning, management, and development of ground-water supplies to meet current and future water needs, and ecosystem requirements. The Subcommittee on Hydrology desires to improve the availability and reliability of surface-water quantity information needed for hazard mitigation, water supply and demand management, and environmental protection. The Subcommittee on Spatial Water Data jointly sponsored with the Federal Geographic Data Committee develops water-resources components of the National Spatial Data Infrastructure. The Sustainable Water Resources Roundtable serves as a forum to share information and perspectives that will promote better decisionmaking in the United States regarding the sustainable development of our nation's water resources.